Vidya Prabodhini is published twice a year. 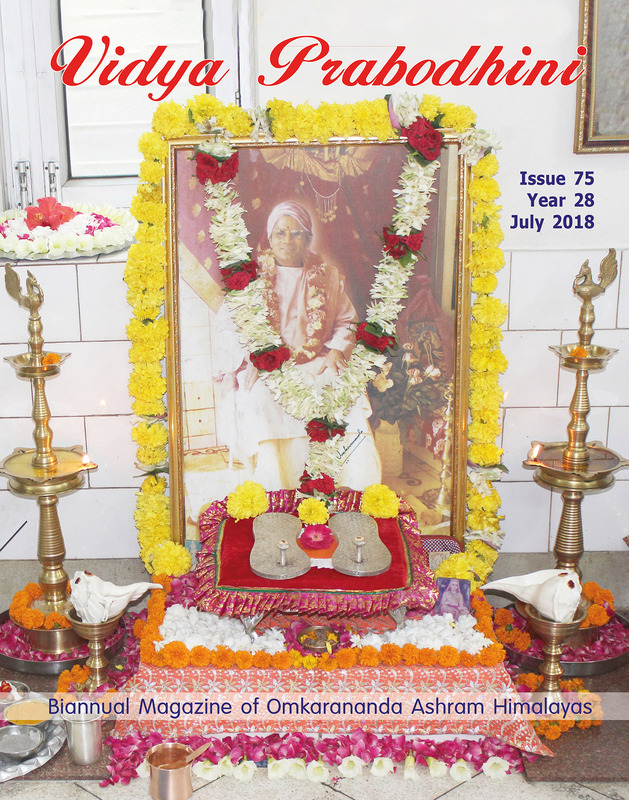 No part of the material from Vidya Prabodhini can be published without prior written permission from Omkarananda Ashram Himalayas (Address of Registered Office see above). Please address enquiries to the Registered Office of Omkarananda Ashram Himalayas. After obtaining permission in writing for publishing any material, please give acknowledgement to Vidya Prabodhini. The Padukas of Sadgurudev Shri Paramahamsa Omkarananda Saraswati are ready for worship on Guru-Purnima in Omkarananda Ashram Himalayas.